Christmas is a great season when you want to boost your creativity and make something special. We have different kinds of events at our churches and many visitors come. 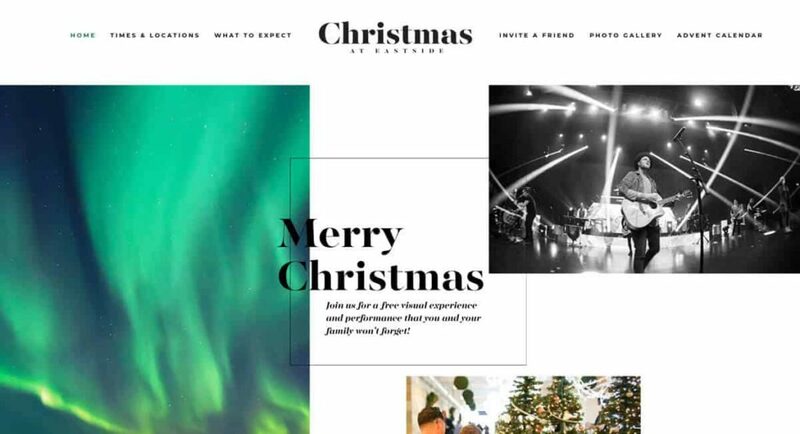 Here is our overview of creative Christmas church website ideas that will help you find more ideas of how to get people to church on Christmas! 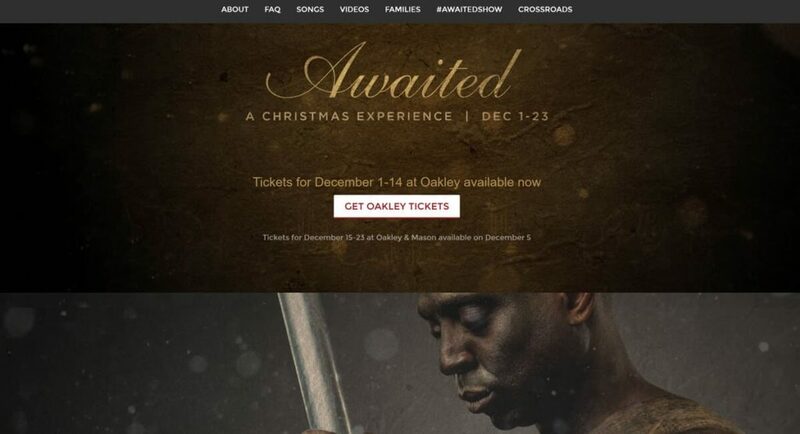 The Christmas church website from Saddleback Church tells the story in a unique way. The design is carefully crafted and absolutely fantastic! We really loved the idea of 12-day Instagram Challenge and the shareable graphics to post on social media. Action Church has a simple landing page with location and service times. Clickable directions will help the guest easily get to church and for those who can’t make it we know, there will be Facebook live provided. This basically is another website with all the information about Christmas at Eastside church you can imagine. And the design! This is on a few websites where we wanted to stop by and simply enjoy the way it’s put together. We also like the idea of a custom domain name – merrychristmas.church! 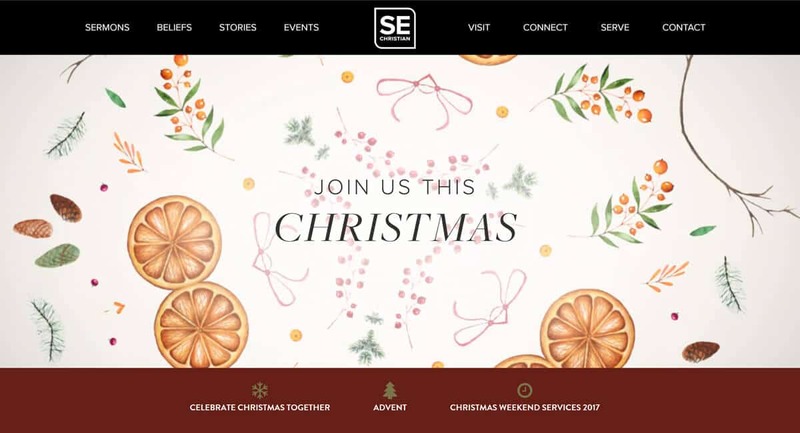 We have already described a beautifully designed Christmas church websites created by Eastside Christian Church but we also have to highlight their church landing page which in December is all about Christmas. There is quite a lot going on this Christmas at Bayside Church and the Christmas church website will take you through all the steps of a perfect Christmas experience. 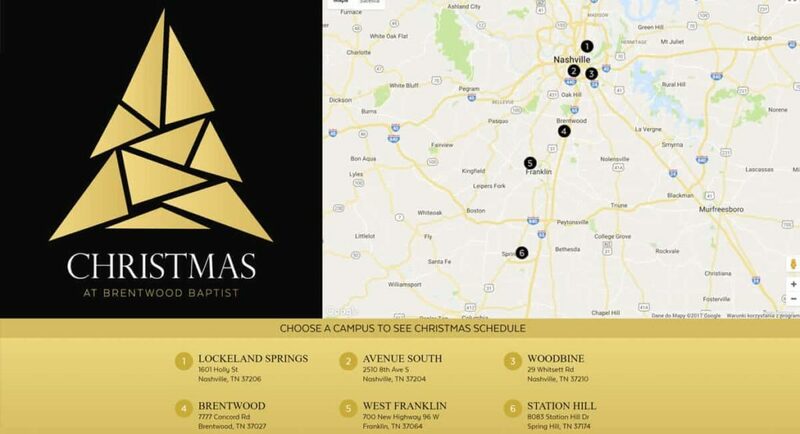 Brentwood Baptist makes sure you find your way to church this Christmas. The way it works is simple – choose your location, check service times and show up for your Christmas experience. Church On The Move created a well-designed landing page with times, locations and photo galleries. Not only will you know all the details but you will also feel the spirit of Christmas in the beautiful photos from past events. Cornerstone Chapel prepared a well desiganed graphics to promote their Christmas services. The Christmas page provides the information about the schedule for the holiday season. Crossroads Church is running Awaited show this Christmas which will help us get a better understanding of Christmas story. The landing page is designed with a great attention to details. You can visit a campus or watch the show online. We really like the idea of a Christmas playlist at the bottom of the page. What we like about Doxa Church is that their overall design is very consistent throughout their church website. The website doesn’t give you any particular Christmas landing page but when you visit the homepage you will get interested in what on for Christmas because of the design. 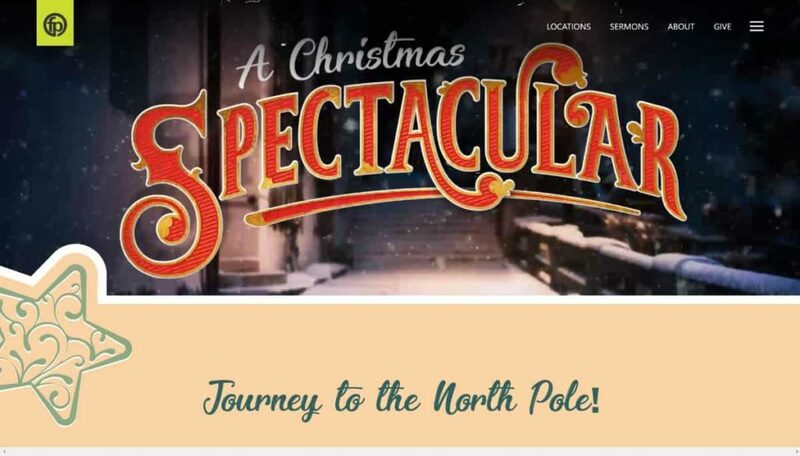 The Summit Church and Durham Performing Arts Center are featuring a Christmas show again. When we are writing this article the tickets have been sold out for all the shows. The website promoting the event looks great, there is a fantastic welcome video and social media graphics for people to share. 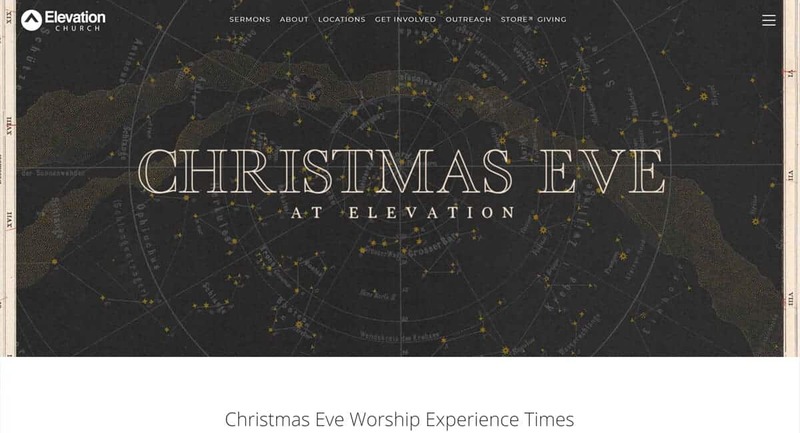 Elevation Church never disappoints when it comes to quality church website design. This Christmas they prepared the design of the highest quality with social shares to people to use in social media. 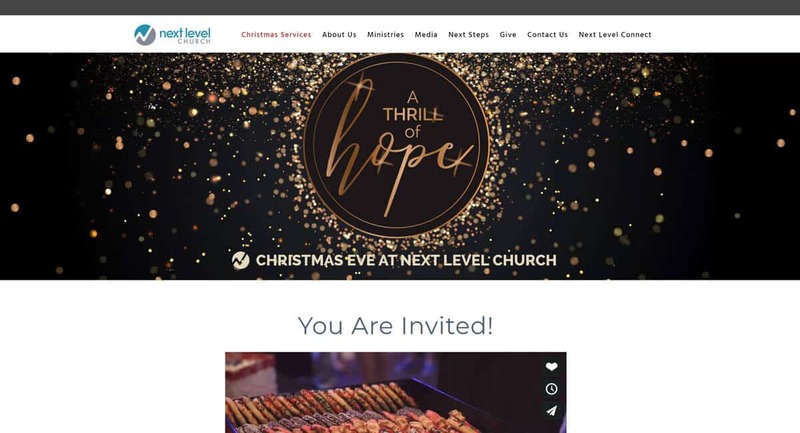 Christmas church website doesn’t have to be complicated. All you need is well designed graphics for the header and Google Maps to help the visitors find the nearest campus. Faith Promise Church did a great job designing a Christmas landing page. You will enjoy the animation in the header as well as the overall design. Another Christmas show. This time at Fellowship Church. The videos feature on the landing page do a great job. All hosted in a separted Christmas domain. Still, if you don’t get to the show you can come to Candlelight services – just pick your preferred campus and you will be provided the details. 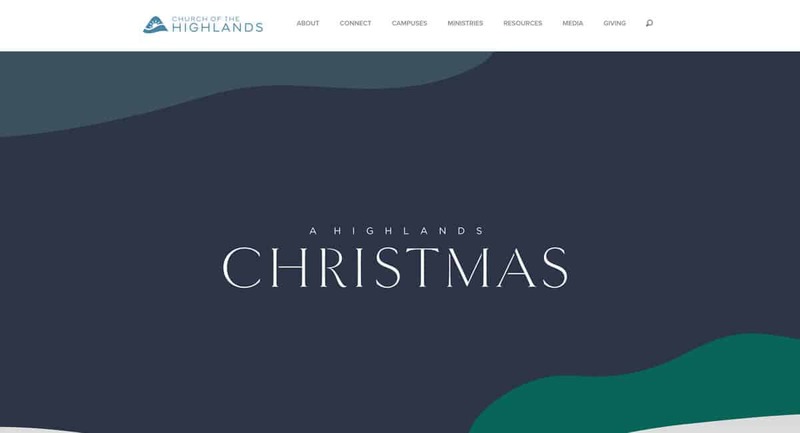 Church Of The Highlands is really busy each Christmas so they developed an effective booking system to make sure everyone gets to visit the church this Christmas. Even if the service is full you can sign up for the waiting list. Super functional! 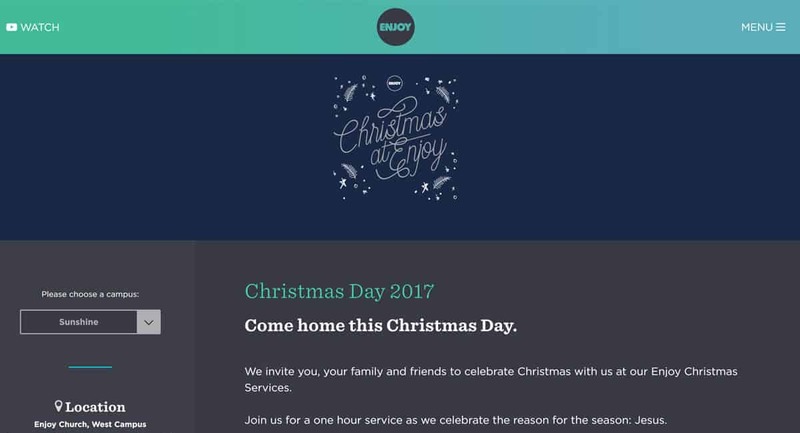 Hillsong London does Christmas Carols service and when you visit the church website you will easily find a clear registration call to action and a link to a YouTube live stream if you can’t make it. We like the color scheme a lot. It is different and plays really well with Irving Bible Church website. What is worth mentioning is the fact it is a traditional church with a modern website that still reflects their unique feel. 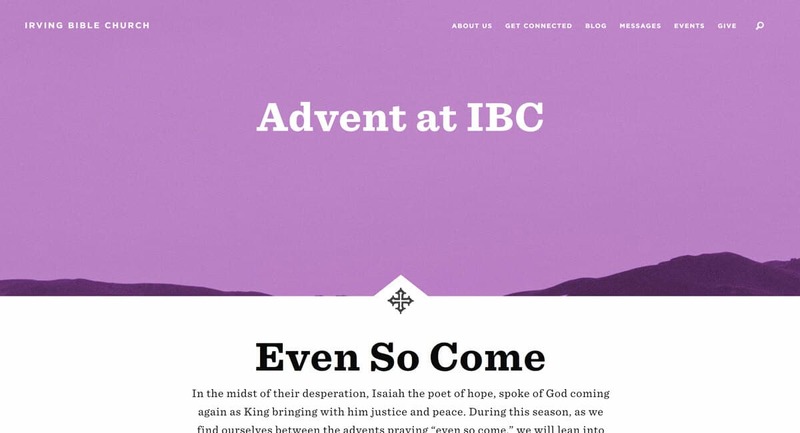 This season they have a sermon series based on the passages from the Isiah which lead up to Christmas. The landing page provides an overview of what’s coming. We like the design and the information provided but what we always love is when the church provides the people with the resources to invite their friends over for Christmas services. The heading “Discover the gift you’ve been waiting to receive” is really encouraging. We also like the playlist and especially share buttons with invitiations. It is so great when churches like Liquid Church put so much emphasis on reaching out to those in need. Especially in the season which is meant to reflect God’s generosity. Mariners Church does a sermon series leading up to Christmas when they explain different stories related to the birth of Jesus. Next Level Church created a great list of creative ideas for inviting others this Christmas – great tips! The landing page gives you all the details in a well-designed form. Make sure to scroll to the very bottom of the page to see the winter animated footer. 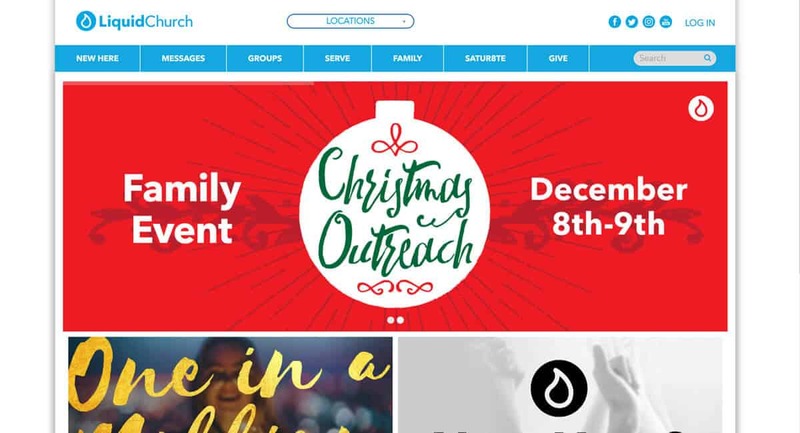 Red Rocks Church is another church with a Christmas website to help people visit and invited people this Christmas. The church website homepage has two slides which will take you to the site with the information. 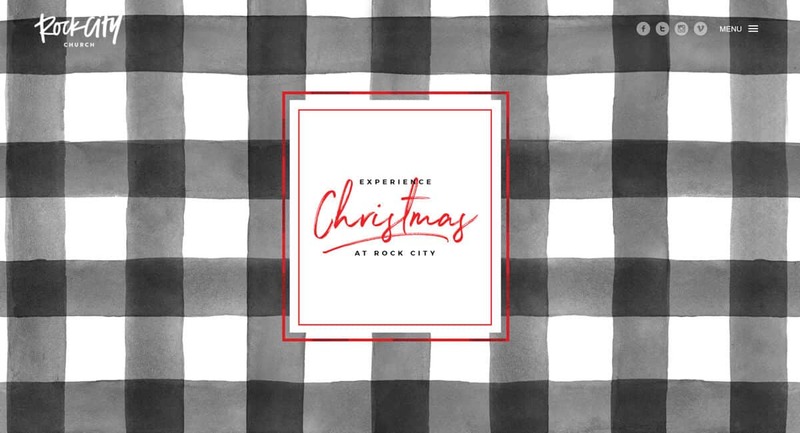 Rock City Church has probably the least amount of information on their Christmas church website. Make sure to visit their site and see how they went about it. We like it! You can like the animation and the design but we really like the call to actions at the bottom. 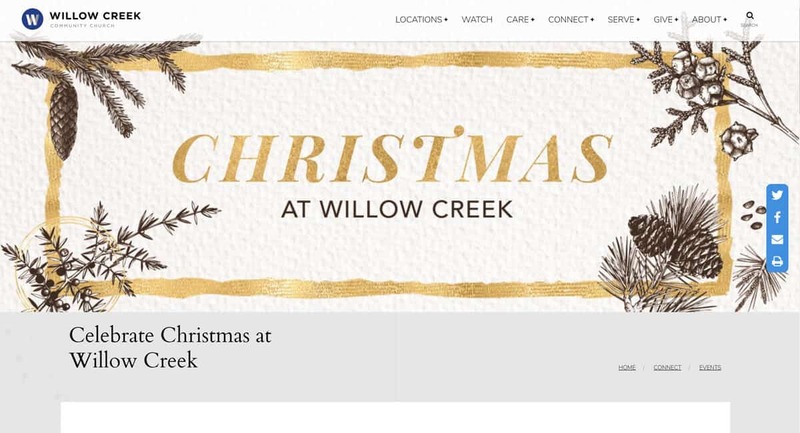 We like the clean and light Christmas Church website design from Willow Creek Church. 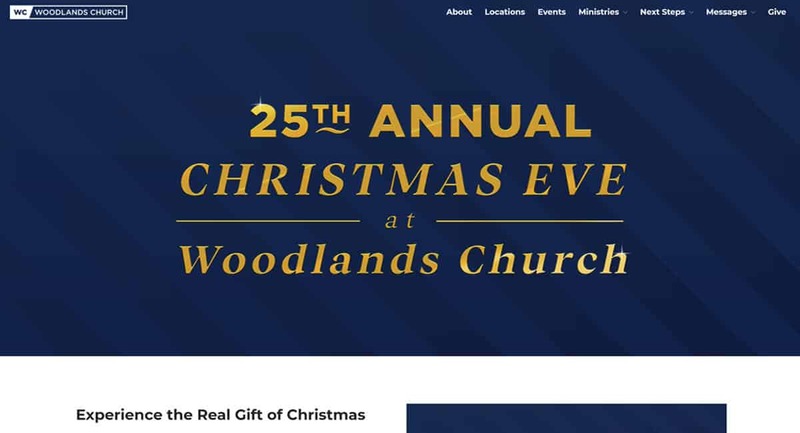 This year it’s very special Christmas for Woodlands Church. It’s always great to have a video pastor’s invitation for Christmas services. We like the fact that in the season Christmas Eve takes the first place in the navigation. 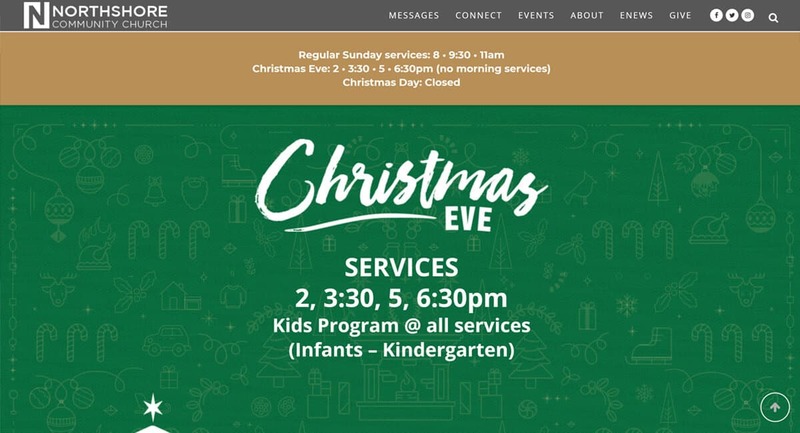 The landing page is simple with good design and the information about the time of the Christmas service. It’s always effective to use a background video. In this case it highlights last year’s service and explains to a new visitor what the can expect. Do you have a Christmas church website not listed here? Let us know in the comments section below if there are other Christmas websites which you think should be featured here! Make sure to check out some ideas from 2017 as well!